Twitter can be an amazing resource for bloggers. In fact, it’s one of the main sources of traffic for my blog! Apart from the Twitter basics, there are plenty of hashtags and retweet accounts out there that will help you expand your audience base. So of course I’ve compiled a list of the best retweet accounts for Twitter below! 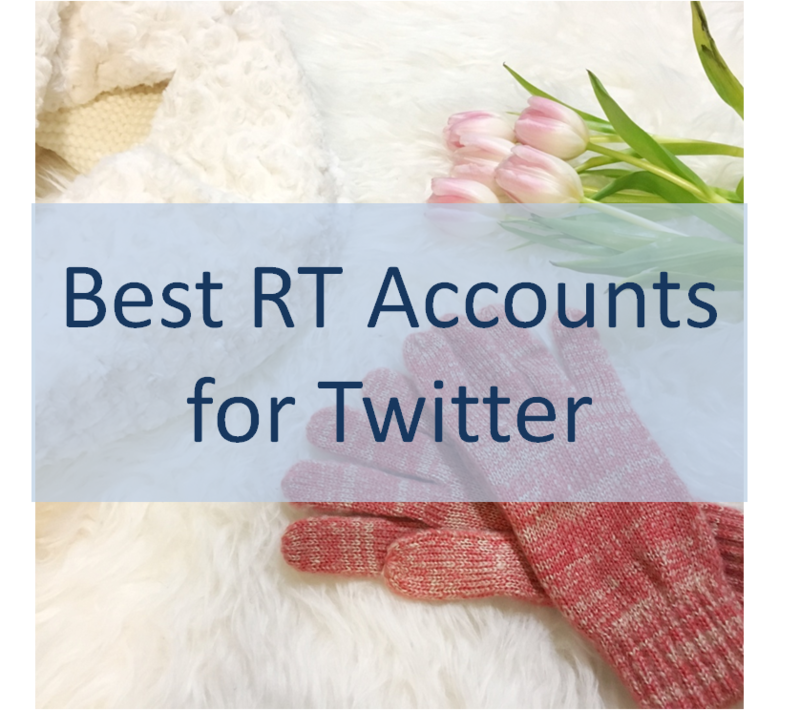 The steps are easy: Simply include one or more of the below RT accounts / hashtags in your twitter post and they will retweet your post to their followers! As you can see, some of these accounts have upwards of 30k followers, so that’s a huge deal when it comes to your potential reach. *Updates* Others have graciously added: @bblogrt (17.5k) and #blogginggals (30k). Got to love the helpful blogger community! It’s almost too basic, right? Let’s complicate things a little. You don’t want to overload your readers with a tweet / feed full of only these tags. “Look at my morning bagel! @femalebloggerrt @lovingblogs @theblogguidert #lbloggers @thebloggerspost @theblogger_hub” looks a little ridiculous. I try to only use these account tags on blog posts that I feel my readers will really get value out of, and I try to keep it down to 2-3 in each post, tops. Wondering why I included accounts with a smaller following? The larger accounts are going to be much more saturated with retweets 24/7, meaning your posts can get lost in the shuffle. I think it’s good to switch it up – sometimes use a larger account and sometimes use a smaller account. That way, your posts can gain more traction with the smaller accounts while still taking advantage of the larger account’s audience base. It’s okay to NOT include these in every post (though it may be tempting). 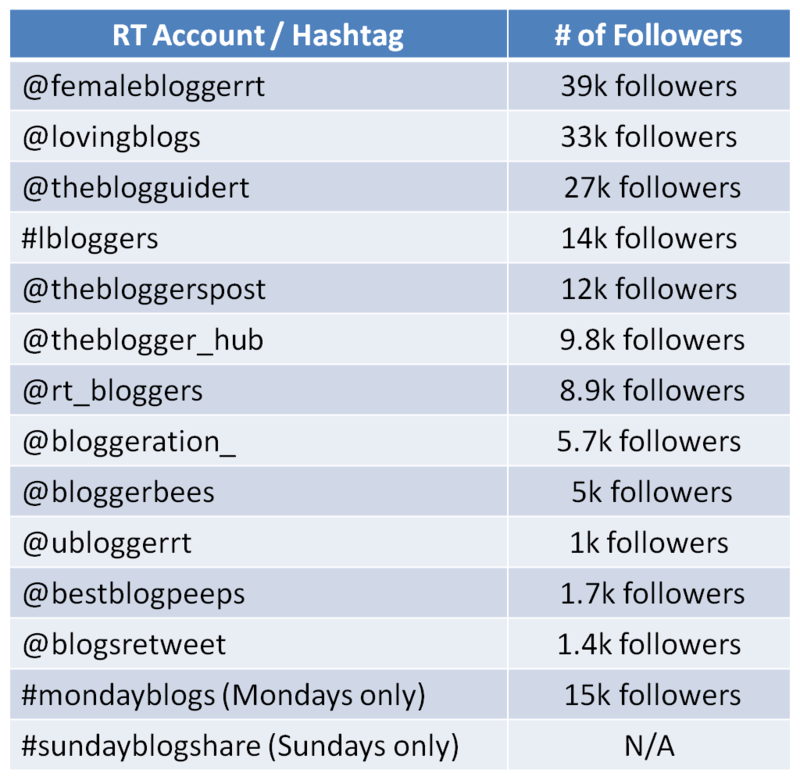 It’s possible that readers are less likely to retweet and share posts with a ton of hashtags or accounts tagged, so try to use these in some of your posts but not all of them. See what works for you! Don’t forget to check out How to grow your blog using Twitter and this ultimate list of Twitter Chats! Comment Challenge: Did I leave any out? What are your go-to retweet accounts or hashtags for Twitter?